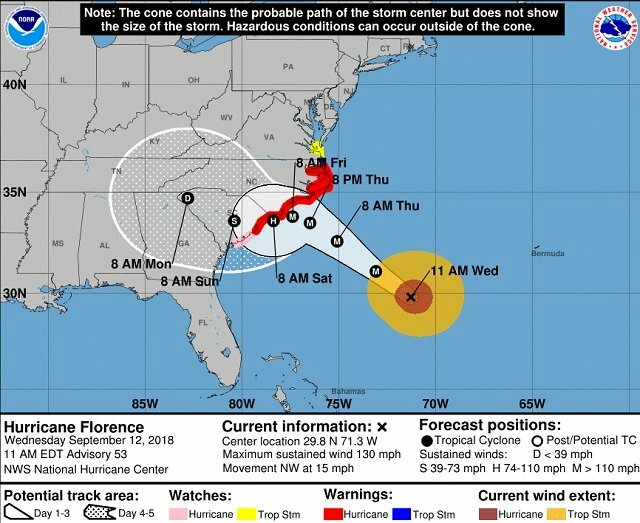 Governor Nathan Deal has declared a State of Emergency across the state as Hurricane Florence prepares to make landfall. Although Atlanta is not expected to take the brunt of the damage, residents should still be concerned about the impact of high winds and heavy rain. For more information about the storm, read the full story on Atlanta Loop by clicking here. 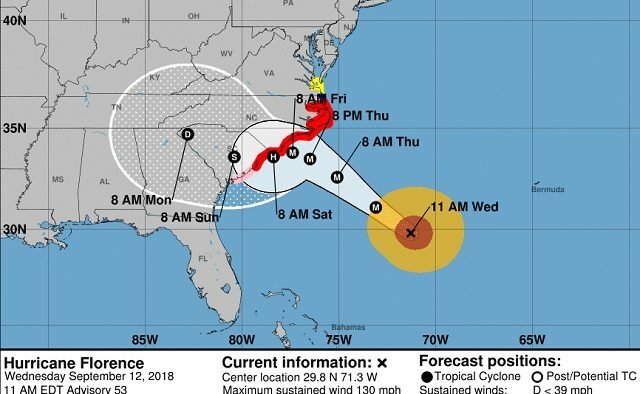 The storm could affect the Atlanta area on Monday, according to the Atlanta Journal Constitution. City Schools of Decatur will be largely unaffected by the storm because students will be on fall break. “The only programs/facilities open are the Central Office and the 0-3 year old programs at College Heights and the Frasier Center,” CSD spokesperson Courtney Burnett said. Atlanta Public Schools and DeKalb County Schools officials are monitoring the situation. A spokesperson for DeKalb County Schools said officials there are keeping an eye on things and will let parents know as soon as possible if school is cancelled due to the storm. Editor’s note: Atlanta Loop editor Derek Prall contributed to this story.